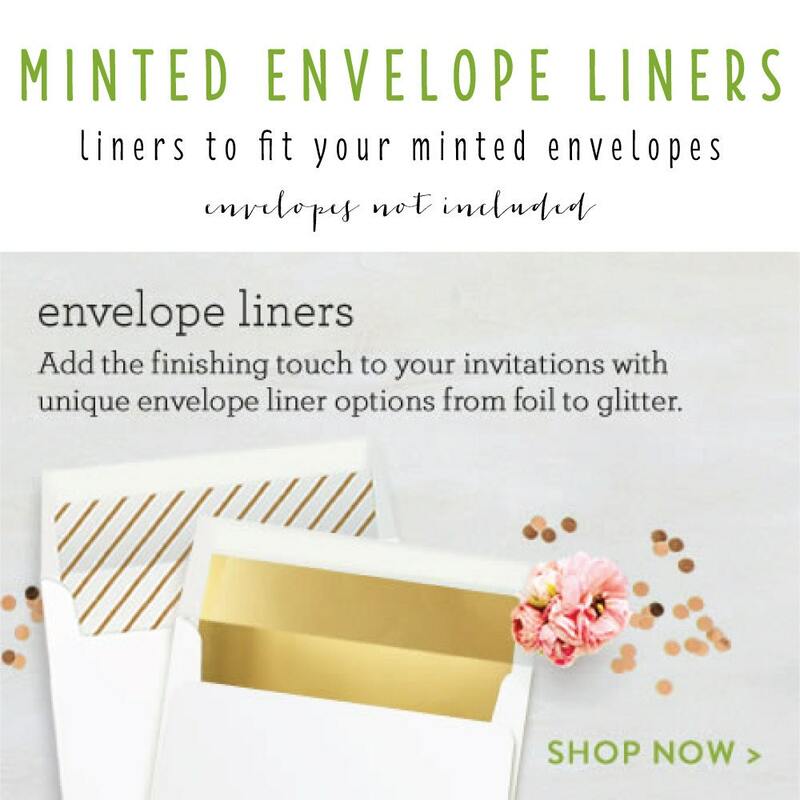 if you purchased your invitations / envelopes from minted and are looking for cute envelope liners, please purchase this listing. (envelopes are not included.) envelope liners come in sets of 10. instructions for how to insert them into the envelope will be included with your order. you can choose from any "regular lined envelopes" from my site. be sure to include the link to your liner preference from my shop along with the color choice when checking out. these are square flap and will perfectly fit your minted envelopes. you can choose from any of the below sizes at checkout along with white or ivory paper to match your invites. Payment is required within 48 hours of purchase. Cancellations must be requested within 24 hours of purchase and may be denied if production has already begun. Please see each individual listing for shipping and processing times. If you need it sooner, contact me BEFORE buying and I will let you know what my schedule is at that time and try my best to accommodate your needs. All domestic orders are shipped via USPS Priority or First Class (depending upon weight) and should arrive within 3-5 business days. International orders can take between 1-3 weeks to arrive. Etsy will send a notification once the order has shipped with tracking info. ***Please note that international buyers are responsible for any customs/import duties that your country may impose upon the shipment of the package. Packages cannot be marked as "gift." Full retail cost of goods will appear on shipping label and packing slip. Lola louie paperie is not responsible for delays in customs. Please triple check your mailing address before submitting an order. I am not responsible for items shipped to an incorrect address provided with payment. Considering all items are made to order, all sales are final. I do not provide refunds or exchanges unless the order arrived damaged or there is an error on my end. If you have an issue with an item please contact me ASAP so we can work together to ensure you're satisfied.